If you are familiar with the medical marijuana industry in California, you know some aspects of the industry and some local areas basically have a hands-off approach, as if we are dealing with a Wild West approach to regulation. On the other hand, some trying to get involved in the medical marijuana industry face draconian regulations and prohibitions and can’t seem to do anything without authorities threatening to shut them down or arrest them, despite their best efforts to follow the law. According to a recent article from The LA Times, our state legislature is considering plans to regulate medical cannabis dispensaries and marijuana grow operations. The California state legislature is now examining competing plans on how to regulate the medical marijuana industry. First, it should be noted, while California voters rejected a general legalization ballot measure in 2010 by a slight margin, recent polls show more than half of all likely registered voters now support statewide legalization, so the legislators are finding themselves a position where they may have to get ahead of the curve if they wish to meaningfully regulate the medical cannabis industry. As our Orange Country medical marijuana industry attorneys have noted, it is interesting when we consider California was the first state to legalize medical marijuana back in 1996, and it now finds itself lagging behind other states that have completely legalized marijuana. It should also be noted, in one recent survey, over 1.4 million California residents have used medical marijuana since medical marijuana legalization took effect in 1996. Part of the reason for this vast difference in breadth of regulation in various parts of the state is because the original ballot measure left it up to local municipalities to regulate whether marijuana could be grown in their respective jurisdictions or whether it would remain illegal to grow medical marijuana and make medical cannabis products. With respect to products, medical marijuana patients no longer only smoke marijuana to take advantage of its medicinal properties. Many people ingest drops of medical cannabis oil, cook THC oil mixed with coconut oil and other cooking fats, inhale THC trough a vaporizer similar to the way people do with e-cigarettes, and use it in many other innovative forms. 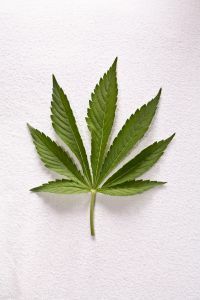 One of the plans is supported by state assemblywoman Susan Bonilla (D-Concord), who believes it is time for the state to step in and regulate the medical cannabis industry, but knows she is proposing what will surely be a “massive undertaking.” Under her plan, growers would require a license and be subject to regulation from the California Department of Food and Agriculture, and the California Department of Alcoholic Beverage Control would regulate sales. The state department of public health would also be involved in the process with regard to manufacturing standards, testing, and inspections, similar to any other food product in the state. An alternative bill would create a new agency, called the Bureau of Medical Marijuana Regulation, to regulate the medical marijuana initiative to oversee the industry, rather than allotting the various tasks to already existing state agencies.